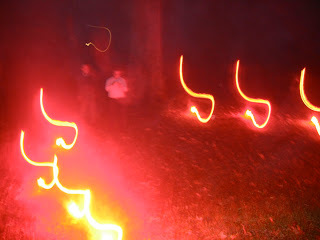 Last night we lit flares in memory of Cope’s father. Seven of us watched the amazing light shift and sputter and change colors. We talked about Plato’s ideas of color, Harry’s love of life, and I thought of Laurie Long too.